I had initially given this album three stars but I was listening to it on my way to work today and had to modify the review to 4 stars! Leading lady and warrior princess Jill Janus and the rest of the crew have created a musical concoction of occult, science and archaic sorcery, which finds its roots in classic heavy metal. 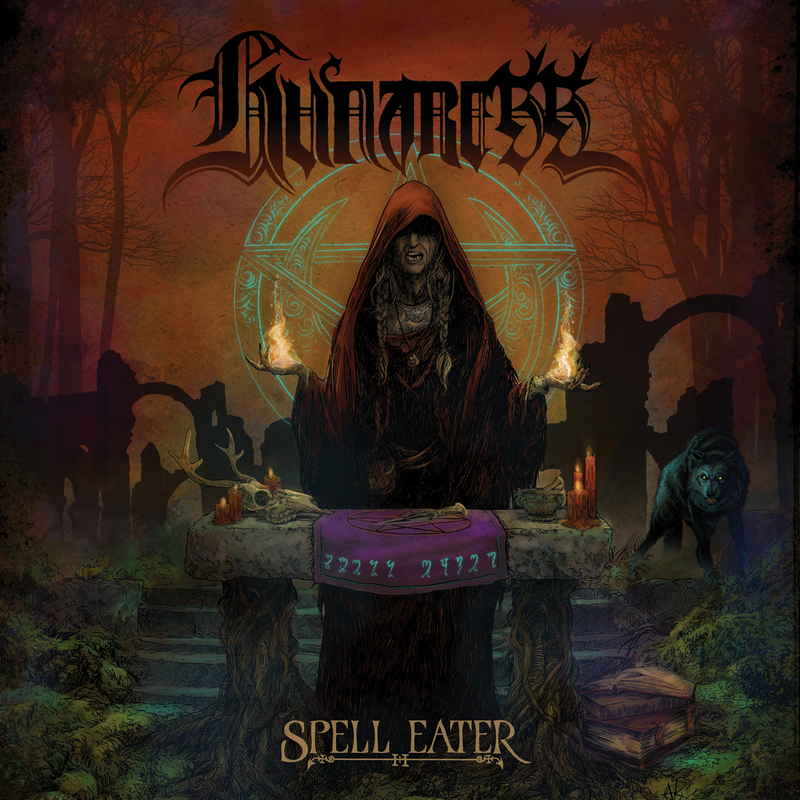 Thundering drums, heavy riffs, spectral solos, and catchy choruses are the basis of HUNTRESS' sound, which is majestically crowned by Jill's impressive vocals. 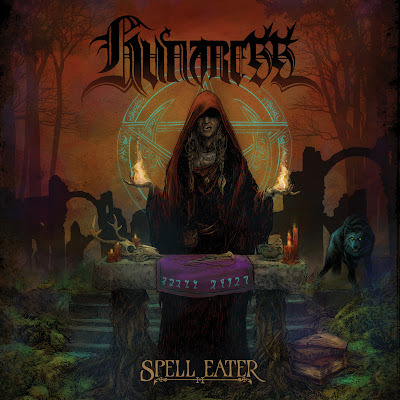 This band from California has debuted with their first album "Spell Eater" and Jill Janus will most definitely make it on the list of one magazine's sexiest women in metal. They have really crafted an album of tight songs and wicked vocals- she can hold her own with allot the women in metal. The band is tight and fast, this is a great debut for any band. 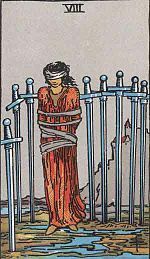 A woman is tied and blindfolded within a cage of swords. This is the "damned if you do, damned if you don't," card. The Querent is in a situation where they're afraid to move. If they move, they'll get cut. However, the ropes that bind them, the blindfold over their eyes, are their own fears, keeping them still, immobile. And so the longer they stay, the more they constrain and entrap themselves. 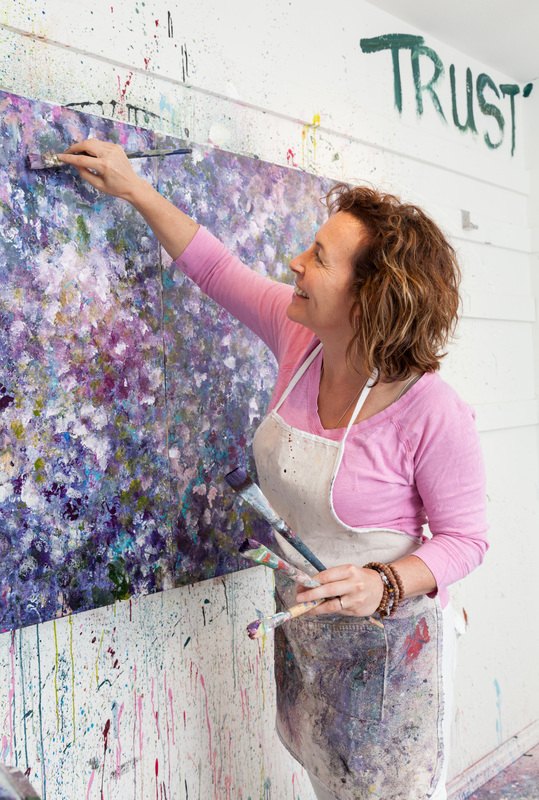 Ever been in a situation where you're afraid to say anything, so afraid that you second guess yourself, end up saying nothing, tying yourself in knots? But speaking up is going to get you cut to ribbons? That's this card. The Querent must have the strength to endure the cuts, else they'll stay trapped. They must move, for the longer they let the situation continue, the worse it will get. This album is quite good and like I have said in previous reviews this has turned out to be a great year for Heavy Metal only 4 months in to the year and so much good music already.